At Room & Board, we believe community involvement is an important part of our overall wellbeing. We have long supported efforts dedicated to strengthening home and family, including organizations supporting those living with HIV/AIDS; institutions celebrating art and design; and groups working on environmental and sustainability efforts. This focused approach allows us to make a bigger impact on areas that are closely tied to our business. 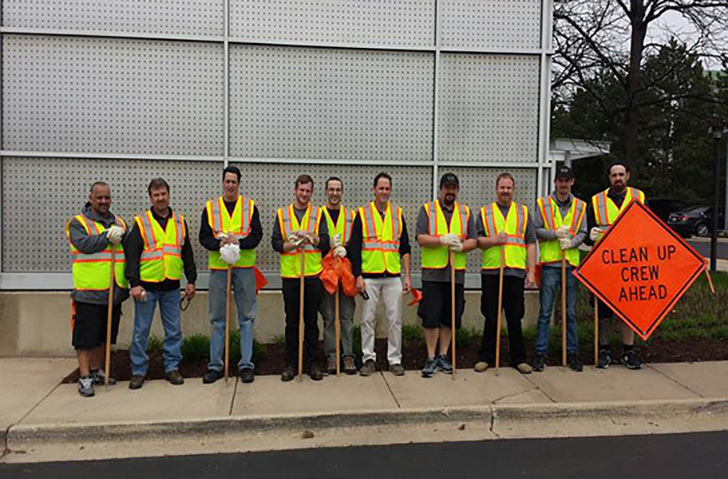 In that spirit, our Oak Brook store adopted a 1.5-mile stretch of Midwest Road, which is a few blocks from the store, through the Adopt-A-Highway Program. Throughout the year they dedicate four days to cleaning up the roadside. 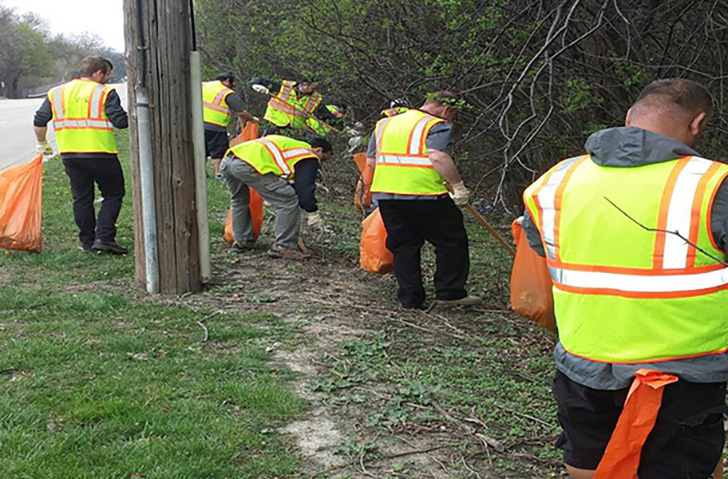 Last week was the first cleanup of 2016 and they collected six full garbage bags of litter. Our Illinois stores also support Chicago House, Habitat for Humanity of Illinois, Howard Brown Health Center, Chicago Arts Coalition and the Museum of Contemporary Art.